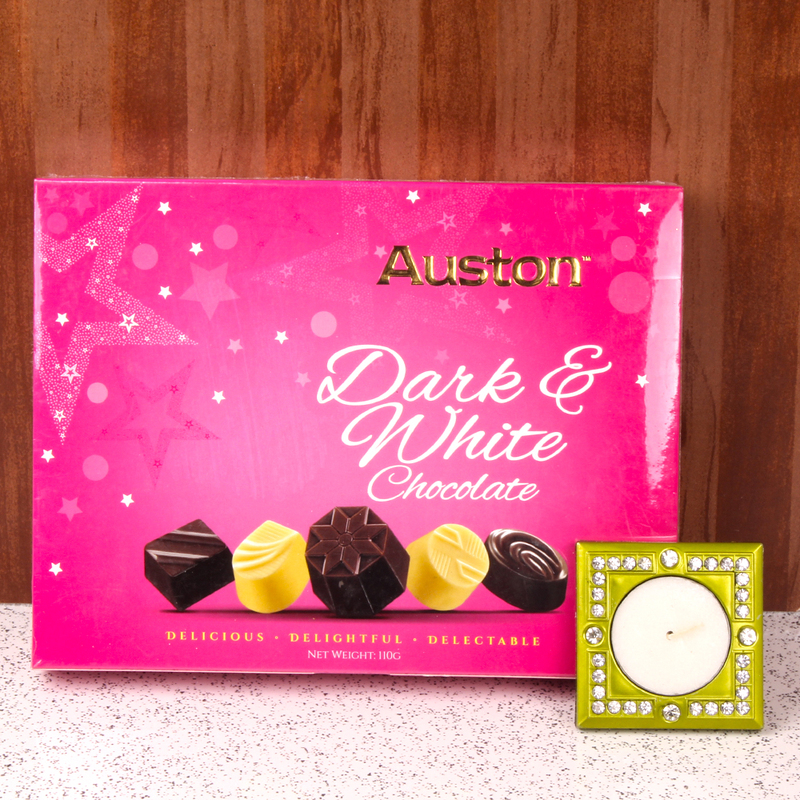 Product Consist : Merry Christmas Banner along with Austin Dark and White Chocolate Box (Weight : 110 Gms) and Special Candle in Diamond Studded Container. 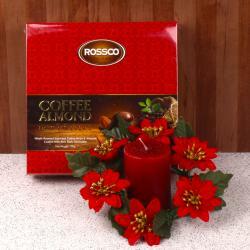 Send this beautiful Christmas gift hamper to your loved ones to wish her or him happiest merry Christmas. 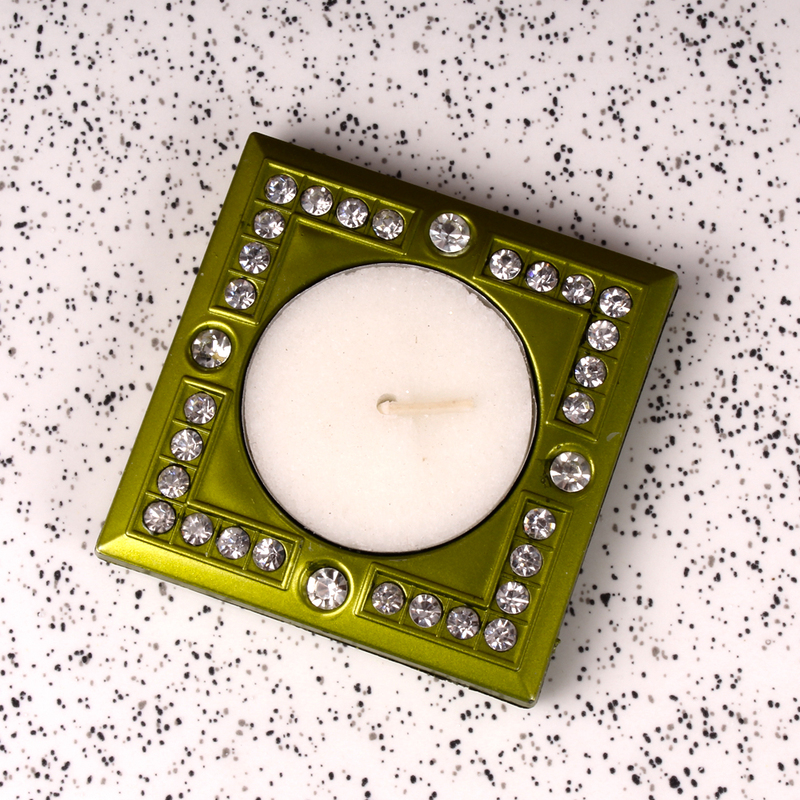 Grace their Christmas in innovative gifting and elongate the shining allure and bliss to them with glaring smile. This hamper comes with the Merry Christmas banner with berries leaves. 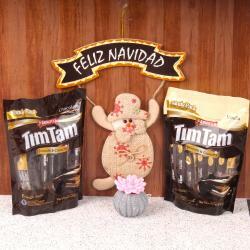 You can send delicious Christmas treat with mouth watering Imported Dark Chocolates. This hamper is perfect to be gifted on occasions like Christmas, New Year, etc. Make the celebrations all the more special with a delightful gift. Your loved ones will be definitely elated to receive the gift hamper sent by you with love. 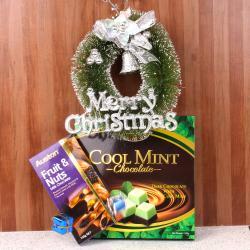 Product Consist : Merry Christmas Banner along with Austin Dark and White Chocolate Box (Weight : 110 Gms) and Special Candle in Diamond Studded Container.